We settled a case involving a 15 year old young woman at the time who was in a serious roll-over accident involving her boyfriend, and her brother, and her brother who was killed in the roll-over. We took on the case despite the fact that the risk was very significant, and two other law firms had refused to accept the case in that it was unclear who the driver of the vehicle was. Our client Mary was tragically brain injured and could not remember who the driver was and her brother did not survive to tell the story. Our client’s boyfriend said that our client was the driver, so the initial evidence was only that our client was the driver. In Alberta of course in a single vehicle accident if you are the driver you cannot make a claim, only the innocent victims or passengers can. Therefore we had to demonstrate our client was a passenger, in addition to proving her injuries. We sued several parties including the County for the poor road conditions where the accident occurred. There were an array of senior insurance accident claims lawyers from litigation firms in Edmonton and Calgary, 7 counsel in all opposing our case. We took on this case out of what we perceived to be an ethical duty to pursue it, to determine the truth, and the answer was certainly not clear. We invested huge disbursements in the case and were ultimately successful in achieving a $2 million dollar settlement, plus legal costs and disbursements (the other side paid for part of our client’s legal fees), securing our clients future treatment needs, and income needs, and sparing the family further emotional trauma from having to proceed to trial. The matter was settled 3 days prior to a scheduled 3.5 week trial. We acted for a lady in her thirties who lost her husband who was a farmer and left behind three children. The complicating factor in the calculation of the future loss of dependency on the farming income was the fact that the deceased farmer also in his thirties had a loose undefined partnership farming operation with other family members. This made calculating the loss of future income complicated. To further complicate matters, the deceased farmer also had an off-farm job at which he was paid very well. The matter proceeded through questioning and extensive document production and extensive agricultural experts combined with economic experts resulting in competing assumptions turning the case into a war of experts. As well, there was an issue of liability for the collision itself – in other words, who was at fault. The matter was ultimately settled one month before a scheduled three and a half week trial for $1,256,428.00, plus legal costs and disbursements (the other side paid for part of our client’s legal fees). Our client lost her husband due to the Defendant’s negligence in veering over the center line at 7 a.m. and crashing head on into our client’s husband. The deceased left surviving his wife and 3 children. There was an argument about whether or not the Defendant was on the job at the time and under the Workers Compensation Act of Alberta. Our client’s husband was on the job, so if both drivers are on the job then there is not a civil claim and benefits are limited to the Workers Compensation Act Pension. Therefore there was a great risk if the Defendant was found to be on the job that there would not be a claim at all. We had to proceed to the Workers Compensation Appeals Board to prove that the Defendant was not on the job and thus a civil claim could be pursued. Nevertheless, our firm pursued this matter through several appeals and was successful in achieving a settlement before trial of $1,382,864.00 for the widow and 3 children securing her future, and the future of her children with funds payable to the children when they turned 18 for the loss of support and dependency on their father. This was a high risk case for our firm which we pursued on behalf of our client as we strongly believed in the position of our client and her right to entitlement for the wrongful death of her husband and to receive benefits under the Fatal Accidents Act of $1,382,864.00 in addition to the WCB Widows pension, plus legal costs and disbursements (the other side paid for part of our client’s legal fees). We acted for a 2.5 year old boy who suffered a brain injury of an undisclosed extent at the time given his young age in a side impact collision in which his aunt was driving the vehicle. Given the young age it was impossible for the neuro-psychologists for either side to determine the full extent of his brain deficits until he went to school and matured. Therefore we carried the case for many years until the young boy was in school in Red Deer and we could determine that he did indeed have detriments which would affect his educational attainments in the future and his work aspirations in the future as well. Unfortunately there was only $1 million third party liability limits on the wrongdoer’s vehicle and so the claim was settled with the wrongdoer’s insurance company paying out the $1 million limits for the benefit of the young boy to be held in trust by the Public Trustee of Alberta until he turns 18. However some funds are available for the benefit of the boy for care and needs from the Public Trustee payable to the mother until the boy turns 18. This is another example of why people should carry more than $1 million third party liability insurance as claims often exceed $1 million and if you are the wrongdoer, you are personally liable for any claims over $1 million. See our previous blog post about third party liability limits and our recommendations under the web page blog. Plaintiff, our client, was a passenger in a car driven by her daughter when a tragic collision with a semi occurred and our client’s 16 year old daughter died and our client was badly injured including fractures of the wrists and arms. We brought action against defendants alleging the physical injuries were disabling along with post traumatic stress disorder (PTSD) in witnessing the death of her daughter. Evidence indicated the PTSD would affect our client for the rest of her life, with symptoms improving and worsening over time. Collision spurred plaintiff to start her own accounting business but as PTSD reasserted itself under stressors, including problems with sons and marriage, she closed her office and worked part time from home. Plaintiffs ability to work was reduced by pain and limited range of motion. There were indications that she was successful in establishing her business, but that she could not maintain it as stumbling blocks resulted in PTSD symptoms reasserting themselves. Court found a diagnosis of chronic pain would affect the plaintiffs life, plaintiffs pre existing medical conditions and ability to handle personal problems have more adverse impact on her life given effects of accident. Plaintiff suffered whole body impairment. At trial our client was awarded $140,000 for general damages for pain and suffering as well as future loss of income and future treatment costs with a total Judgment in excess of $375,000 plus $100,000 in costs were awarded against the defendant insurance company Intact Insurance as a result of their defence on behalf of the defendant. Our law firm then successfully appealed this trial Judgment with Brent L. Handel, Q.C., and Cheryl Yingst-Bartel arguing the McLaren case before the Alberta Court of Appeal and on September 14, 2011 the Court of Appeal released its decision, granting our firm’s appeal and dismissing entirely the defendant insurance company’s appeal. This decision is reported in the law journals as: McLaren v. McLaren Estate, 2011 ABCA 299. The effect of the appeal decision was to remove any liability on our client, the Plaintiff, whatsoever with the result that the trial Judgment of $345,862.02, plus taxable costs and disbursements, was increased by the Court of Appeal to $645,969.41, plus an award of double costs in favour of our client for beating a Formal Offer made early in the litigation. 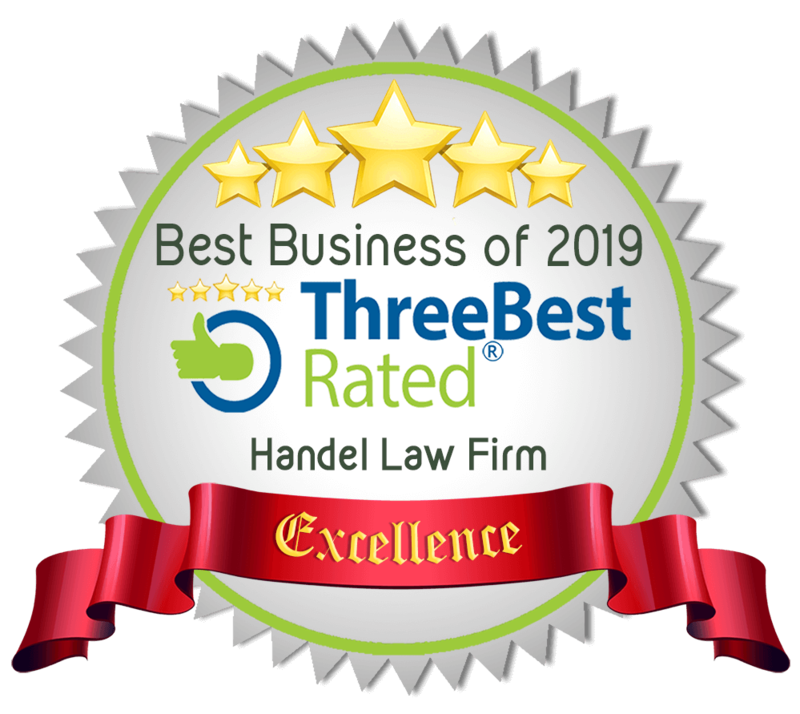 The double taxable costs and disbursements award alone was $200,951.36, which our client received to off-set her legal fees and disbursements for medical experts. We pursued additional insurance compensation when the car liability insurance was inadequate. Eight family members were in a single vehicle rollover including six children which resulted in a severe brain injury to one child, a fatality to another child, and severe back injuries to the father. The grand total of all the injuries was agreed at $2.6 million; however, there was only $1 million of liability insurance on the motor vehicle our clients were in to pay the claim. As a result, our law firm commenced an action in professional negligence against the insurance agent who sold a family of eight people only $1 million in Third Party Liability Insurance. We hired an insurance statistician and researcher who engaged in original research which found that in Alberta in 2014 over 50% of insurance brokers/agents would recommend at least $2 million of third party liability insurance and 20% would not sell you less than $2 million. Moreover, it was established that on average it costs only $35 per year to go from $1 million protection to $2 million – so who wouldn’t do this IF informed by the insurance agent! Thus, we were able to establish that it was professional negligence for an insurance broker/agent to only sell $1 million to a family of eight (because the total of their injuries is more likely to be higher) and thus we were able to obtain additional compensation for our clients over and above the $1 million third party liability limit on the vehicle.